1.1.0.1 Get BigBud and MaryJane’s free Complete Beginner’s Guide to Growing Weed Indoors and our weekly newsletter anywhere you see the “Subscribe Now” button. 12.1 Here is what Dan’s customers have recently said about the Electric Sky LED Grow Light. MaryJane Farmer: Hi, this is MaryJane Farmer from 420Beginner.com and BigBud from BudBudsGuide.com.We’re talking today to Dan from The Green Sunshine Company, who is the genius behind the Electric Sky LED Grow Lights. Dan and The Green Sunshine Company have brought some new ideas to the LED Grow Light world with the Electric Sky line of lights. Dan, I know you have been studying and building grow lights for quite a while now, Tell us about that. 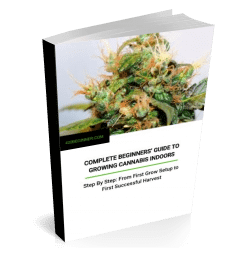 Get BigBud and MaryJane’s free Complete Beginner’s Guide to Growing Weed Indoors and our weekly newsletter anywhere you see the “Subscribe Now” button. MaryJane: So what was it about LED grow lights that led you to design the Electric Sky? What was it that you thought you could add to the LED grow light business? Dan: That’s a good question. Basically when I looked at what was available on the marketplace, I saw all the purple grow lights out on the market, and then there was a resurgence of these white LEDs that were on the market, and both of them were saying that their designs were the best. And I thought, “Well, how can two grow lights with totally different spectra actually be the best?” I actually realized that the purple lights were focusing on absorbing light. And then the white lights were focused on the PAR spectrum idea, which was designed in 1970. The realization that I came to was that plants actually sense all the different wavelengths of light available. What I began to find are a lot of studies recently showing that plants use all colors of the spectrum, and they actually will change their growth depending on the ratios in a spectra. MaryJane: (Read all about how light affects plants in this post) . Did you get any idea as to whether one kind of plant, like a tomato, for instance, requires a different spectrum than another, or are all plants basically the same? Dan: That’s a great question. Different plants do operate differently. However, they all abide by some of the same sort of rules, so for example, for lettuce, you’re not necessarily growing it for total yield. You might not want lettuce to get big, so you probably want a little different spectra for lettuce, but for tomatoes or other plants like cannabis, you might want them to grow really large really fast so you get the best total end yield. BigBud: The idea I’m getting is that you can tune your lamp, more or less, to tell the plant to give you a different kind of form as the end product. Dan: Exactly. Exactly. Instead of focusing on the total efficiency number or trying to match chlorophyll exactly, I decided to try to make something that encouraged plants to grow a little faster in veg stage, and get you a bigger yield per photon by giving them a more complete range of color, with a tuned spectra to do that. MaryJane: How many different types of Electric Sky LED Grow Light is you Green Sunshine Company making now? Dan: We’re making just one type in two different sizes. We use one spectrum profile called the GS-1 spectra, and it’s the same spectrum throughout all of our lights. We have two different sizes: the Electric Sky 180 and the Electric Sky 300. As you can see in the picture, the Electric Sky 180 is about a two-foot wide unit. It covers a 2-x-4 area, and that’s our smaller unit designed for home growers. And then our 300 is our commercial-level unit. It’s a little bit longer, has more diodes, has greater efficiency, and the newest model has a fully dimmable feature. We try to keep all our lights affordable for the grower, because we know the importance of keeping costs down. MaryJane: So if you have a 2-x-4 lamp like you just showed us, the Electric Sky 180, how many cannabis plants would you expect to be able to grow with that one? Dan: Basically you can grow 2 to 4, depending on your preference for spacing. My personal style is growing 2, so I have 2 directly under the light, but if you’re growing autoflowers, you could go up to 4, fitting them all under a 2 foot by 4 foot area. MaryJane: Have you tested your lamps with your own grow operations? MaryJane: Wow. Okay. Do you grow in dirt, or are you a hydroponic aficionado? Dan: I’m actually a full soil aficionado, so I like growing in soil. I believe the plant wants all those nutrients found in soil. (MaryJane sez “Read an article about plant nutrients here.“) And a little sneak peak is, we’re actually working on a nutrient line, as well. I know we’re talking about the Electric Sky, but we also have a supplemental product where it’s a dry amendment that you can actually put in the soil, and it allows you to keep reusing your soil, because you’re basically putting a mix of other plants, ground-up plants into the soil, which amends and feeds the soil. That’s actually what I’ve been focusing on lately. I just love growing in soil. It’s super easy. You just water and let all the nature take care of the rest. BigBud: So you’re doing an indoor grow all the time, basically. Dan: All the time, year-round. BigBud: How many harvests do you get out of your indoor grow? MaryJane: Just right in your house. You don’t have to walk very far. No mess, no fuss. 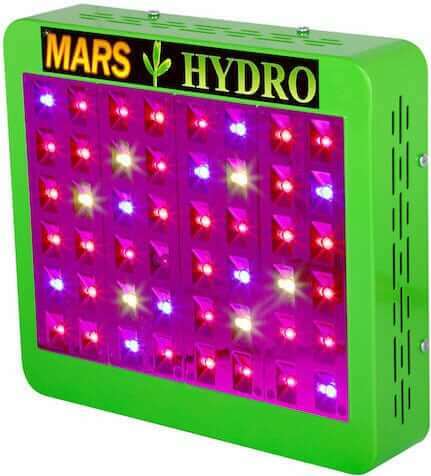 As you know, a lot of people, especially commercial growers who’ve been in the business for a while, started out with HPS or HID lights and still stick with that type of grow light, even though LED grow lights are certainly more efficient and probably the better choice. Have you talked to any of these people and sort of been the missionary to get people to switch over? Dan: Yeah, I think it’s really interesting. When I first started three years ago, the general consensus was LED lights didn’t work. I would tend to agree because essentially, if you looked at all the spectra three years ago, you would find that most of them were purple. You can get good results, but you don’t get quite the oomph that most people expect. So for the longest time, the right mix of spectrum and price really wasn’t there. Probably about a year ago is where the efficiency finally flipped, where you can finally say that there are a lot of white lights out there that do very well, like our Electric Sky lights which are wide-band spectrum lights. You’re finally at the point now where you can start saving 40% on your electricity bill. And actually, as far as HPS lights, the newest thing are the double-ended bulbs. If you have a huge room and you’re already set up with double-ended bulbs and ballasts and all the airconditioning for the high temperatures, it’s pretty hard to really make the numbers work on ROI. Where we really see the benefits come is if you have single-ended bulbs. Instead of replacing your single-ended fixtures with double-ended setups and bulbs, LED lighting is there to reduce your costs of a new setup and your ongoing electricity costs. That’s what we’ve seen with a lot is growers that are just up-and-coming. Especially with all the states legalizing now, not only is LED more efficient, but if you’re buying new, you don’t have to buy as much air conditioning. So instead of just thinking, I’m just replacing these lights, your whole facility changes. Your ceiling doesn’t need to be as high. The form factor of LEDs really helps you get a lower ceiling and reduces your space requirements and construction costs. You might be able to do double stacks. You don’t need to buy as much air conditioning. When those up-front costs aren’t there, it kind of compounds. It’s exciting now because people are finally realizing that LED is definitely the way to go for lower upfront costs and operating costs and it can actually perform with great yields today. BigBud; We’re way past the days of purple haze, huh? Dan: Yeah, we’re way past the days of purple haze. I mean, I don’t want to rag on the purple light, they actually do work but technology moves on. In greenhouses or areas where they have actual sunlight, purple lights can be very good because that spectrum is really absorbed by the plant, but as sole source lighting, you’ll get the best results if you have a full spectrum. And on top of that, you can actually see your plants. MaryJane: When you have a customer come to you that says they want to start a grow operation, do you help them design what they need in terms of all the products? Dan: We like to work with growers. Usually it’s a smaller room. Some of them have aisles, so the Electric Sky is really good for aisles because they have lenses that actually keep all of the light going in your aisles, and then for larger rooms, depending on someone’s budget, you can really cram in a lot of units. Or if you have a lower budget or you don’t need as much light, you can spread them out, so we’ll do custom room designs for any grower. BigBud: Do you charge for that, or is that part of your service? BigBud: If I’m a grower and I want to start a room that’s a pretty good size, how do I control the power for all those lights? Dan: The lights can be controlled with a single dimmer so you basically plug them straight into the outlets, and then the Electric Sky 300 comes with a little dimming cable, and you can connect all those lights to that one control. MaryJane: So tell us where your company is focusing right now and where you are going. Dan: Right now we’re focusing on really servicing the home grower and coming up with really turnkey systems for the small grower. We’re working on more things with our Electric Sky line of grow lights. So what you can expect in the future is even greater efficiency with our Electric Sky grow lights. Because ours is a unique spectrum, it’s really hard to find LEDs that actually produce the spectrum that we want out of our light. It’s actually pretty rare. So we’re getting custom LEDs made for our single spectrum light. Later down the road, we have an adjustable spectrum model we are working on, which I’m really excited about. A lot of the adjustable lights out there, you have just a white channel, and then a red channel, and adjusting it is just really hard … They gave you a computer or an app, and it’s just almost impossible to figure out, like, what am I doing here? So we’re going to make a really easy-to-use spectrum adjustable thing, I am really excited about that. Hopefully, it will be next year when we release that, but The Electric Sky will always be focusing on releasing exciting new spectrums, and The Green Sunshine Company’s mission is creating products that make growing easier. 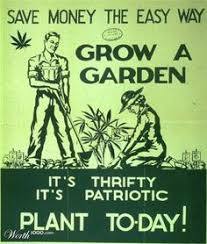 BigBud: Now we all know that the indoor grown plants sells for a lot higher price than the outdoor grown prices. But we also know that the prices have been crashing because of these huge harvests that we’re getting in places like your state there, Oregon. So what do you say to people that say, “Gosh, I want to start in the marijuana business, this is booming”? Dan: I think in every state, you kind of see the resurgence of commercial grows, and then the market will tap out, and it’ll kind of go down, so it’s always exciting when you see that, and that’s why I really like servicing the home grower . You really don’t get that enjoyment from going to a store or the store might not have the strain you want. Then you never know about your quality control … You don’t know. But when you do it at home, you have full control over whether it’s organic, what goes into it, curing it properly, and really, you always have that strain you want available. And then, of course, you’re making it yourself, so you’re fully self-reliant on your own skills. BigBud: I agree with you there, that the commercial operations are fine as far as they go, but if you really want to be independent, you want to be growing your own. You don’t want to try to sell it on a large scale because it’s going to be hard to be in that market unless you have a tremendous amount of capital. But there is always going to be a demand for high-quality, specially made product and that is where the small grower has an advantage. Dan: We really like working usually with home growers or smaller scale growers, like individually, because usually those people are not always in it for the money. They’re in it for helping others, educating others, and that’s really what we’re about. BigBud: Yeah, a lot of people are in it just because they got into it and now they’ve decided, jeez, I want to be an expert in this particular line or service so I can service the people that I like. Well, Dan, it’s been a real pleasure talking to you. Tell us where people go to find your Electric Sky LED Grow Light. Dan: You can find us on our website at thegreensunshineco.com. 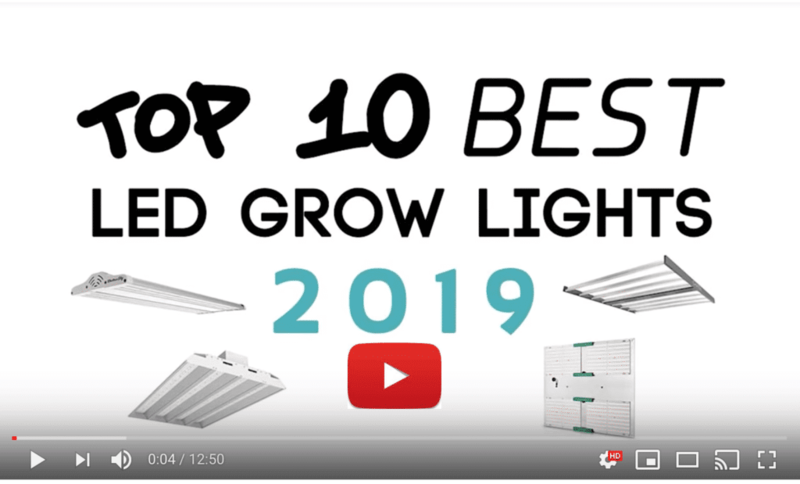 We’re also on Instagram and YouTube, so check out The Green Sunshine Company on any of those channels, and our grow light, of course, is called the Electric Sky grow light. As a bonus, we give a discount on your first purchase you when you sign up for our newsletter. Here is what Dan’s customers have recently said about the Electric Sky LED Grow Light. These lights really do some hard work. I have 2 and the newer one I received recently now comes with a dimmer switch. This is a very nice addition for those who want to be able to dim the lights. You can even hook 2 lights to 1 dimmer with the included extension and adapter. When the time comes for more lights I will be buying more. Great Job Dan! Shipping was super fast. You can tell it is built right,with good quality parts. I just started using this light so i will update after a few months but I have been using led’s for about 4 years and this light is super bright(protect your eyes) with in days of switching to this light my plants have taken off. This is amazing indoor grow light. I use to have HID and it was making crazy hot inside. After I start to use Sky ES300 , temperature is perfect and plants never get burn. I recommend it. Little expensive but deserves it. MaryJane: So talk to somebody who really does know what they’re talking about in the LED grow light business. Dan at The Green Sunshine Company is the guy to go to. Buy the Electric Sky directly from Dan at The Green Sunshine Company. Thanks for that. And take a look at our site Dazzlekat.com. With the coded 10off at checkout youiget a 10% discount on everything plus free shipping in the continental US and a three year warranty.